Have you ever noticed the sarcasm of the book of Ruth? 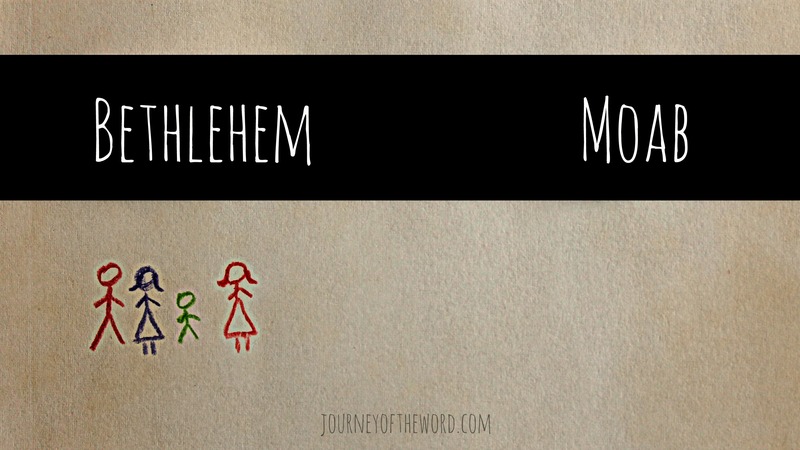 There’s this family living in Bethlehem: Elimelech, Naomi, and two sons, Mahlon and Chilion. Oh, by the way. They have this relative named Boaz. 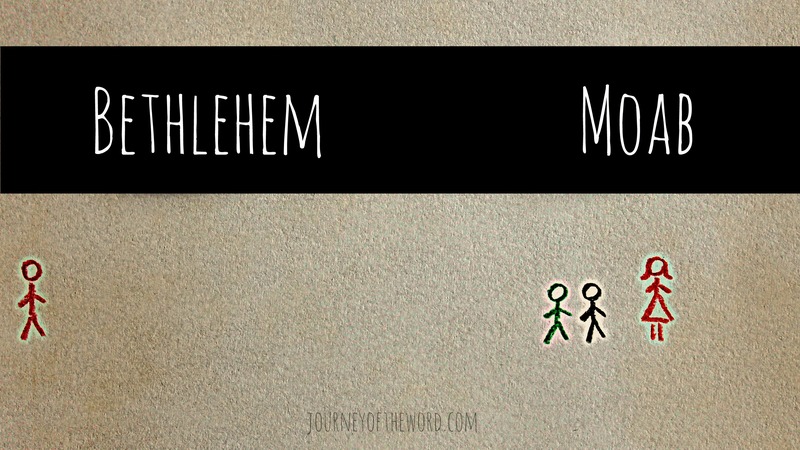 He lives in Bethlehem, too. Problem: famine. Famines are highly unfortunate events which make for a good story. The famine sends the family to Moab where there is food. Boaz apparently finds a way to survive without relocating, because he stays in Bethlehem. 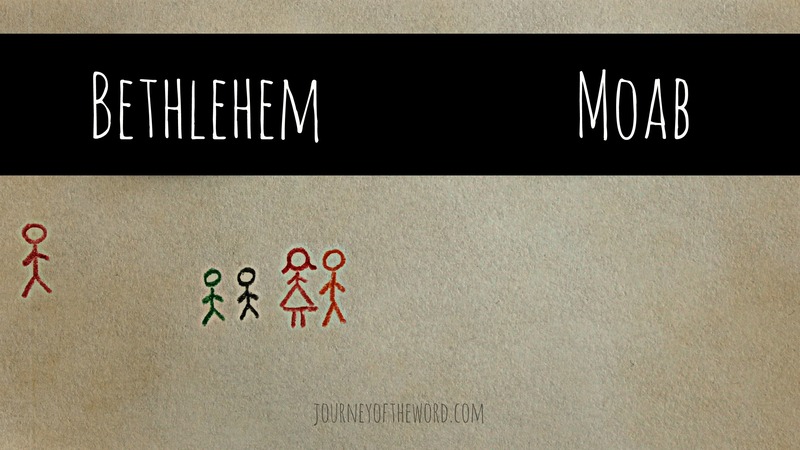 Second catastrophe: Elimelech dies. Now Naomi has only her two sons. Thanks to growth spurts and convenient marriageable ages of the day, Naomi’s boys marry rather quickly, and they enjoy ten years in Moab. Catastrophes three and four: both sons die. We now have three widows deserted in Moab. And both Mahlon and Chilion died, so that the woman was left without her two sons and her husband. At this point, Naomi is feeling pretty hopeless. She started out with an abundance, but now God has left her with nothing (1:20). She comes up with a plan. 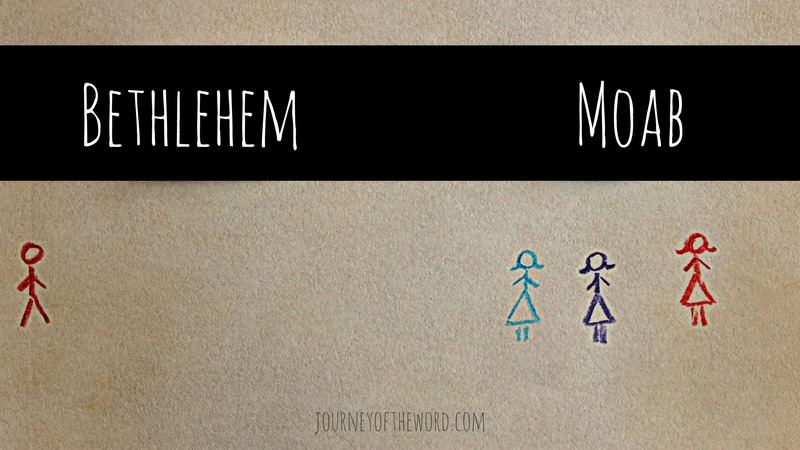 Her daughters-in-law might as well stay in their homeland and leave Naomi to return to Bethlehem on her own. In this way, all three would have a better chance of kind reception and helpful provision. 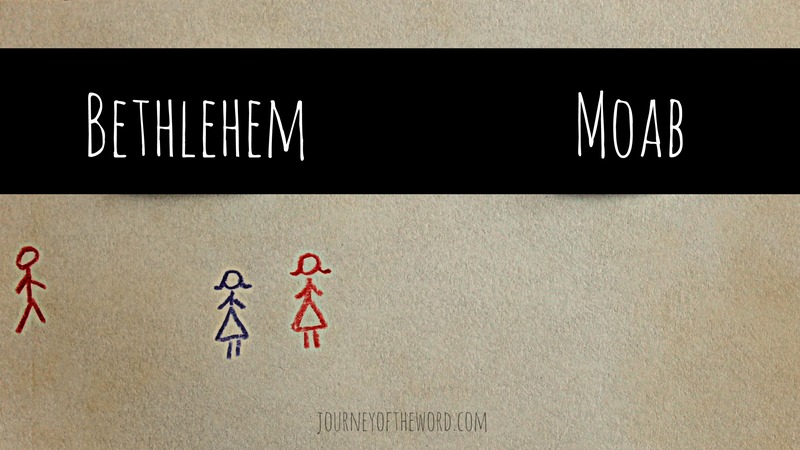 But, after a little semi-friendly “where you go I will go” speech of persistence from Ruth, Naomi shuts her mouth and allows Ruth to follow her back home. Orpah is already out of sight, no persuasion needed. Being the kind-hearted and loving daughter-in-law she is, Ruth decides to go to the fields to gather grain so she can provide food for herself and for her mother-in-law. Ruth will preferably find a field owned by a man who will show kindness to her, in spite of the fact that she isn’t from these parts. Naomi doesn’t bother to tell Ruth that Boaz has such a field and is such a man. Boaz finds out about Ruth, speaks with her personally, and is especially kind to her, lavishing gift upon gift. Ruth is a bit puzzled. Why is this man so nice to her? He has no reason to do that. She doesn’t even belong here. She eats dinner with Boaz, and heads home with an overabundance of grain. A few weeks and a sketchy night at the threshing floor later, Ruth has managed to ask Boaz to marry her. Back to the story. 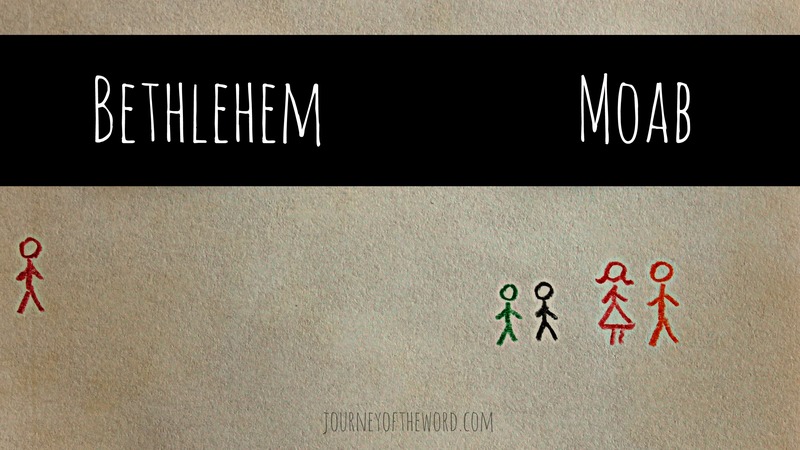 Boaz and Ruth get married.
. . . father of Jesse, father of David . . . Jesus. Nothing just so happens. Not famines. Not relocations. Not deaths. Not marriages. Nothing. Everything just so happens as the all-knowing One would have it. For our good. Love the little diagrams! 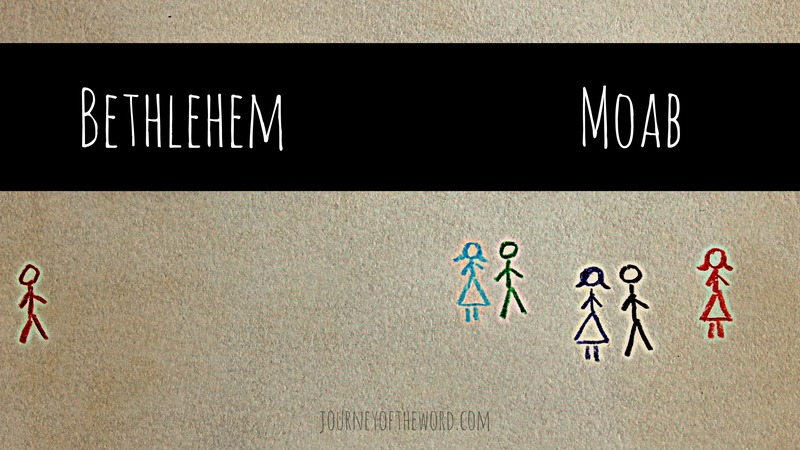 Does a great job of illustrating the back and forth of the journey and what happened when. 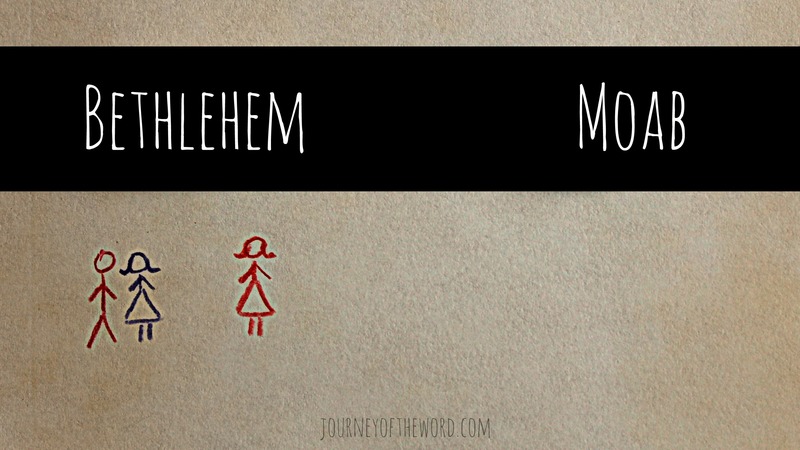 It is so helpful to really get in depth on the story of Ruth. Never know what you will discover. Thanks! I was attempting a timeline, and this is as far as I got. I thought the pictures were fun, because Boaz is just hanging out over there in Bethlehem like nothing’s gonna happen, and then an amazing woman shows up outta nowhere! And it’s interesting that it took quite a few “unfortunate events” for her to get there. I just read a quote this week that “My plan B is not God’s second best for my life”. This story is a great illustration of that!